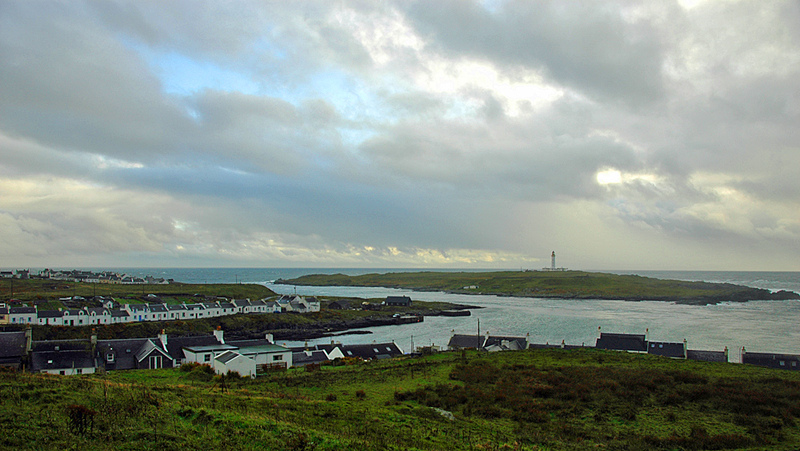 A view from the southern tip of the Rhinns of Islay over the twin villages of Portnahaven (below) and Port Wemyss (in the distance on the left). On the right Orsay with the Rhinns of Islay lighthouse. This entry was posted in Cloudy Weather, Landscape, Lighthouses, Repost, Village and tagged Islay, Orsay, Port Wemyss, Portnahaven, Rhinns of Islay by Armin Grewe. Bookmark the permalink.